Uganda's President Yoweri Museveni has been in power since 1986 and is currently serving his fifth term in power. The former Deputy Inspector General of Police, Julius Idwe has added his voice to those condemning the proposed scrapping of Article 102 (b), which caps the presidential age to 75 years from the constitution. In his statement issued this morning, Odwe says the decision by some NRM leaning members of parliament and 23 ministers to scrap the presidential age limit isn’t only disturbing but shallow minded. 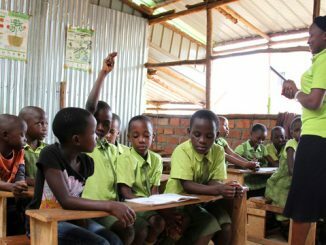 He contends that Uganda is faced with serious problems, which require urgent attention other than scrapping the presidential age limit and the compulsory land acquisition by government, which government has decided to dwell on. He cites the increasing anxiety of Ugandans on the transition of power and Museveni’s succession, fear of the weak stewardship in the public sector, famine, poverty and injustices that require immediate government redress. Odwe dismisses claims by those pushing for the removal of the presidential age limit that it is meant to ensure that youths, who account for about 80 percent of Uganda’s population, have chance to contest for the country’s top most position, saying the possibility of a youth becoming a president in Uganda is not even tenable. According to Odwe, only ten youths have succeeded in becoming heads of state in Africa since 1960 through military coups, revolutions and amicable consent by some groups and not elections. He cites the late Colonel Muammar Gaddafi, the former Libyan president who ascended to power at 27 years through a revolution in 1969 and the former Gambian president, Yahya Jammeh who became president at 29 through a military coup in 1994. Others include Joseph Kabila, the incumbent president of the Democratic Republic of Congo, Valentine Strasser of Sierra Leone and Michael Micombero who became Burundian President at 26 after declaring an end to the Monarchy and the Kingdom of Burundi in 1966. 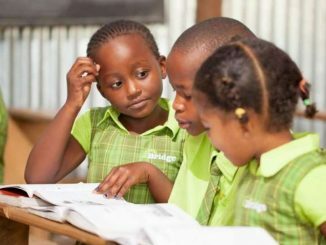 Odwe says the MPs and ministers pushing the removal of the presidential age limit hold the key to modeling youths through education, exposure and experience and asks them not just to sympathize with the youths but give them hope through working for the betterment of their lives and the hope of taking over leadership. He also expressed anger at the selective conduct of police targeting opposition members and those opposed to the proposed scraping of the presidential age limit. According to Odwe, the conduct of police, some NRM MPs and the executive are treasonable since they are meant to frustrate the efforts of Ugandans to defend the constitution. He reminds police of article 1, 2 and 3 of the 1995 constitution which clearly spell out that all power belongs to the citizen. Odwe asked the police and the executive to be mindful of Article 3 of the constitution, which says all citizens shall have the right and duty at all times to defend the constitution and in particular to resist any person or group of persons seeking to overthrow the established constitutional order and to do all in their power to restore this constitution after it has been suspended, overthrown abrogated or amended contrary to its provisions. He also says clause (4) of the article 3 states that any person, or group of persons who as required, resists the suspension, overthrow, abrogation or amendment of this constitutions commits no offense. He argues that based on the constitutional provision, people are supreme and they are the ones to defend the constitution and that any attempt to find the defense criminal is void. 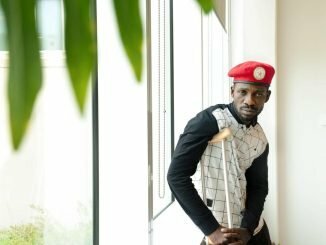 Odwee asks President Yoweri Museveni to save Ugandans from the most embarrassing failure to peacefully hand over power when his term expires in 2021 arguing that the only hope Ugandans now have for a peaceful hand over of presidency lies in his hands. The speaker of parliament, Rebecca Kadaga is expected to decide on the notices presented by some legislators to move motions in relation to the presidential age limit debate. There was heightened tension in parliament last Thursday when parliament attempted to debate the motion prompting the deputy speaker, Jacob Oulanyah to differ the matter to a later date. Raphael Magyezi, the Igara West MP plans to present a motion seeking to pave way for the amendment of Article 102 (b) of the constitution. 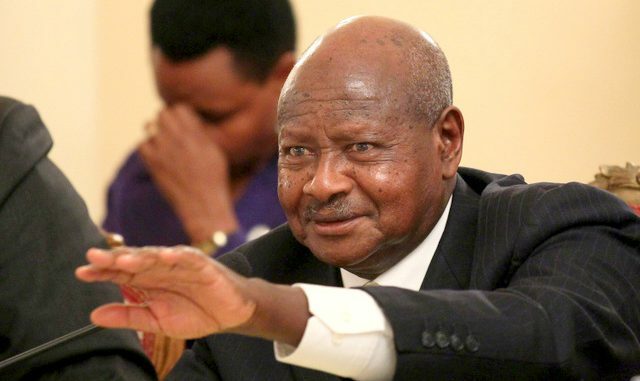 Once approved, this would see president, Yoweri Museveni seek another term of office when his current term expires in 2021. Under the current provision, Museveni, who was born in 1944, would not be eligible to contest for the presidency since he will be above 75 years of age.